City of Leeds representatives receive designation. Leeds has been designated as an “Alabama Community of Excellence” after successfully completing the Alabama Communities of Excellence (ACE) program, a comprehensive three-phase approach to economic and community development for cities with populations between 2,000 and 18,000. 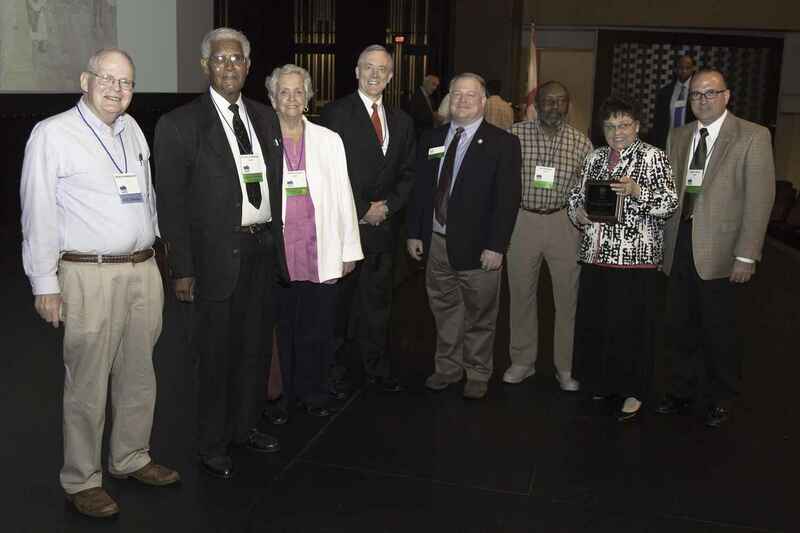 The city of Leeds was recognized during the Monday, May 20th General Session of the Alabama League of Municipalities Annual convention held in Montgomery. 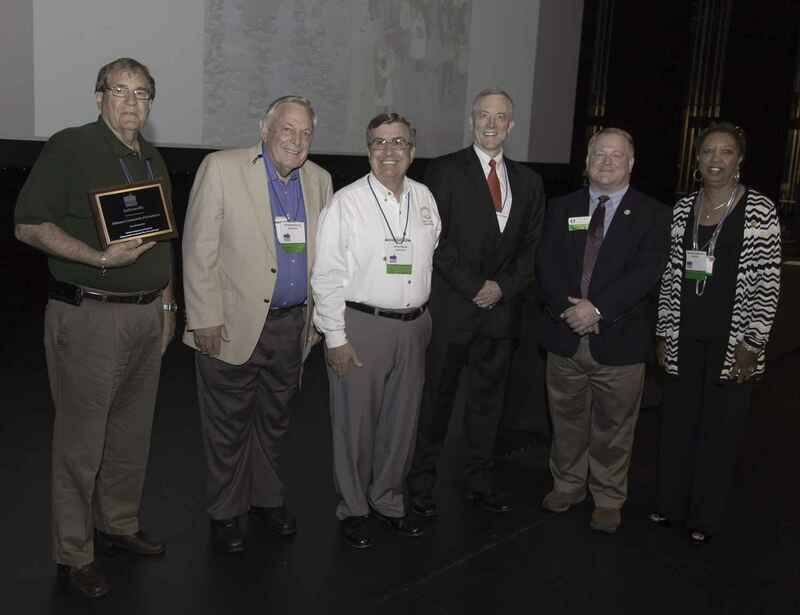 Dr. Ken Tucker, ACE President and President of The University of West Alabama and Ken Smith, ACE Partner and Executive Director of the Alabama League of Municipalities, presented a plaque to city officials. “We are so proud of Leeds for successfully completing all three phases of the ACE program,” said Tucker. “Their dedication to community development should be commended. During the graduation ceremony, Tucker explained ACE’s three-phase approach. “Phase I is known as the assessment phase. During this time, a comprehensive report card detailing community assets and weaknesses is prepared and presented to the community along with recommended strategies and actions,” Tucker said. “During Phase II, the Leadership Development and Strategic Planning component, each community must establish a leadership development program, prepare an up-to-date strategic plan, and identify a local ACE coordinator,” said Tucker. To maintain the Alabama Community of Excellence designation, a community must be recertified every three years. Leeds will be eligible for recertification in 2016. Three ACE Communities were recertified during the 2013 General Session, as well. Gulf Shores, Jacksonville and Monroeville all completed the process of recertification, demonstrating their continued commitment to keeping their towns Alabama Communities of Excellence. ACE Partner organizations include: Alabama Association of Regional Councils, Alabama Department of Economic and Community Affairs (ADECA), Alabama Department of Commerce (ADC), Alabama Historical Commission, Alabama League of Municipalities, Alabama Municipal Electric Authority, Alabama Power Company, Alabama Department of Public Health, Auburn University Economic & Community Development Institute, Economic Development Association of Alabama (EDAA), Goodwyn, Mills & Cawood, Regions Financial Corporation, the University of Alabama Center for Economic Development and the University of West Alabama. The all new Class of 2013 was also announced: Alexander City, Elba, Fairhope, Helena, Rainsville, and Saraland all begin the process of becoming ACE Communities this summer. About ACE: Created in 2002 as a 501 (c)3 non-profit corporation organized for the purpose of utilizing the collective expertise of its partner organizations, ACE provides participants with a “one stop shopping” type of experience—community development programs and tools needed to insure long term success found through one organization. Officials from the city of Monroeville receiving their re-certification award. 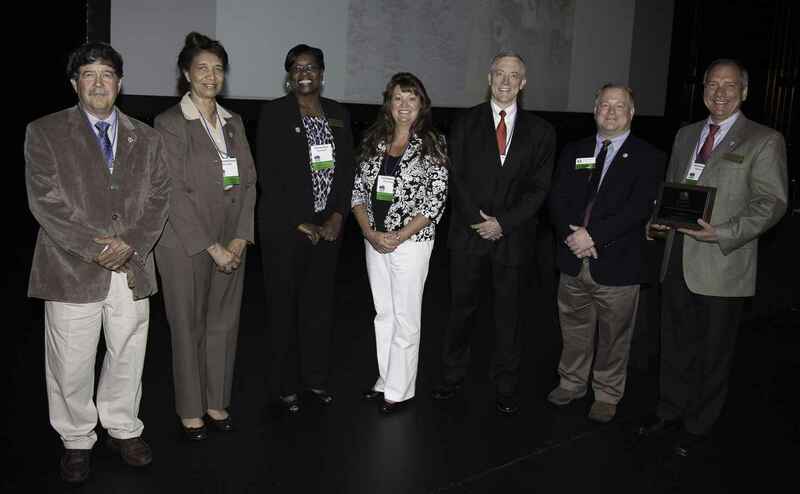 Officials from the city of Jacksonville receiving their re-certification award.